Delivering a premium, all-in-one power management solution for IT deployments, the Eaton RACKPACKIT enables effective organization, protection and management for a variety of IT environments. 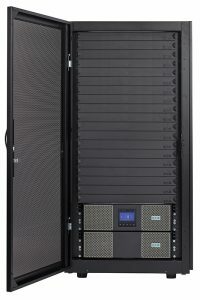 The RACKPACKIT comes pre-configured with a UPS, power distribution and management solutions. The Eaton pre-configured RACKPACKIT solution minimizes deployment time and maximizes protection by providing an all-in-one solution.